While many automotive segments have suffered at the wrath of high gas prices and a retreating economy, crossovers have managed to remain toward the top of the food chain. So, while General Motors is at the dawn of their push for alternative propulsion methods and smaller vehicles, they’re still expanding their robust lineup of crossovers. 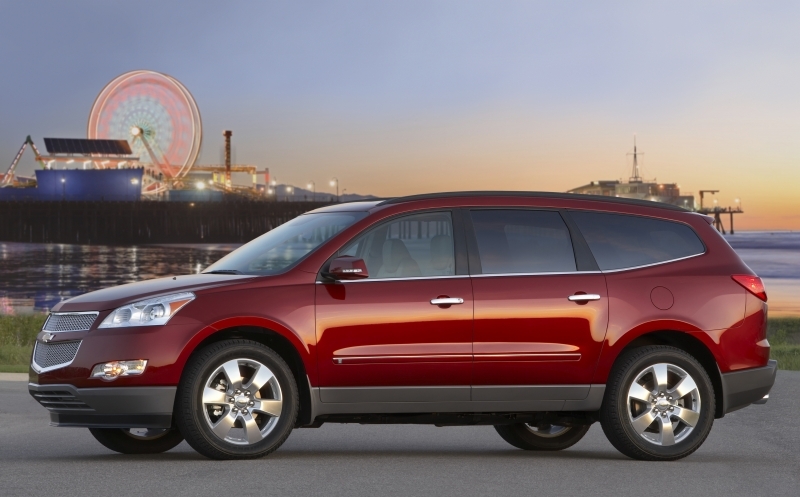 The Traverse arrives as their largest vehicle in the segment, with seven- or eight-passenger seating depending on the buyer’s preference. 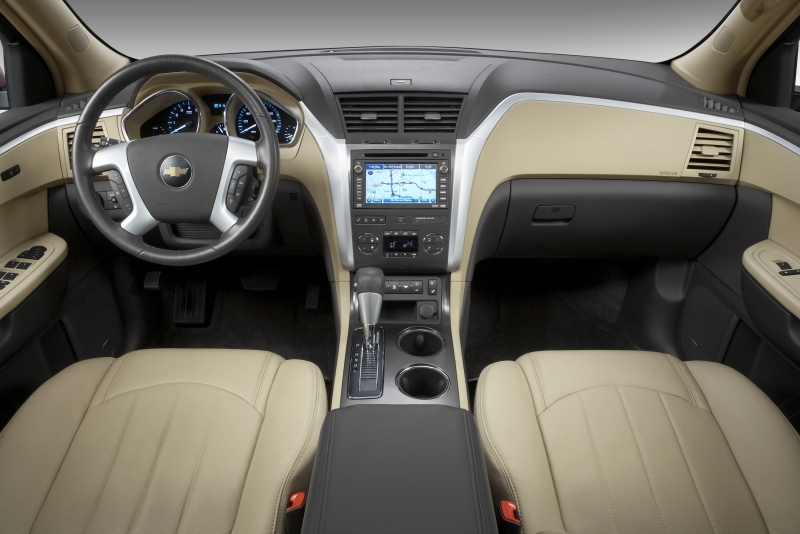 GM likes to call it the vehicle that requires no compromise, with an equal balance of style, quality, safety and utility. 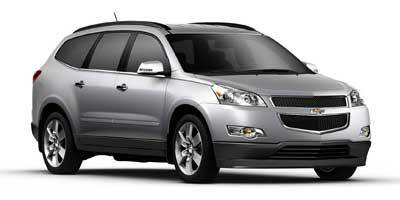 While that might be a bit optimistic, it’s difficult to argue with the level of utility the Traverse provides, from its spacious, comfortable interior to its dexterous blend of power, ability and fuel economy. Use of a touch screen navigation system creates a clean, logical dash layout – a relief when compared to the button-filled interiors of some competitors – and those who don’t option for the screen still get a simple, logical instrument panel. The option of both seven- and eight-passenger seating gives those who don’t need the extra space the option of more comfortable second row captain’s chairs. 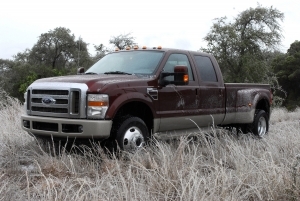 A substantial towing capacity comes as a pleasant surprise. All Traverse models are powered by a direct-injection 3.6-liter V-6 engine that produces 288 horsepower and 270 lb-ft of torque. Power is driven to either the front wheels or through optional all-wheel drive for those looking for some extra utility. 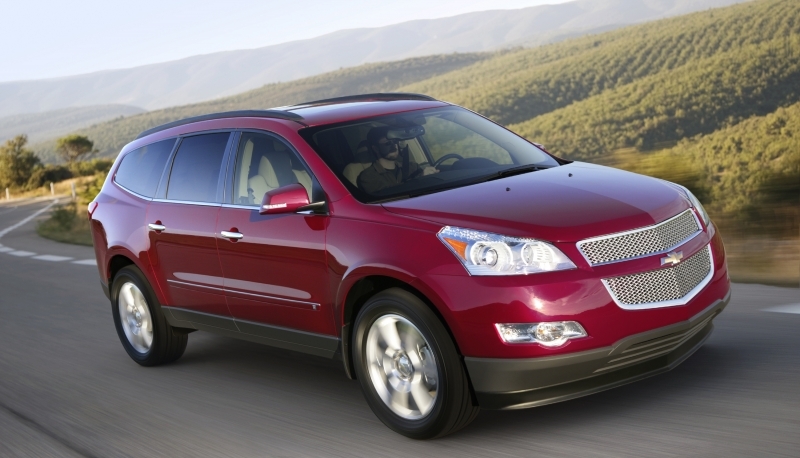 All models utilize a six-speed gearbox to take advantage of the engine’s power and maximize fuel economy. 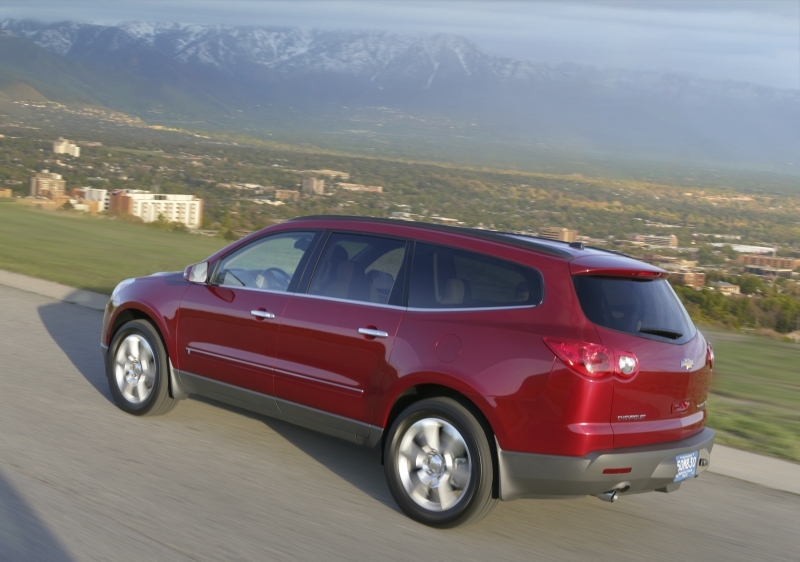 Out on the freeway, the Traverse has a substantial cruising range of 500 miles. Front-wheel drive models will go 16 miles on a gallon of gas in the city, 23 on the highway, while all-wheel drive equipped models will do exactly the same. Emissions get a desirable ULEV-II rating, partially due to the use of direct-injection. The Traverse LS starts at $29,224 and a loaded LTZ with all-wheel drive will set you back over $37,750, so expect to pay within that range depending on your needs and wants. Over the last few years, the full-size crossover segment has exploded, giving the Traverse a broad spread of competitors, including the $28,045 Honda Pilot, $25,855 Toyota Highlander and Ford’s alternatively styled $29,075 Flex.